What is a balanced Fund? Are they a safe investment? Balanced funds are suitable for first-time investors and for people who have a less-risk appetite. 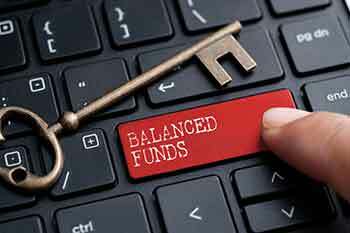 Balanced funds or hybrid funds are a mix of equity and debt mutual funds. They keep their investment in the ratio of 60-40 where 60% of the amount is invested in stocks, and the balance 40% is invested debt instruments. Balanced funds maintain their formula of income generation and capital appreciation. Balanced funds are suitable for first-time investors and for people who have a less-risk appetite. It is for investors who do not want to take on a risky situation but still want capital appreciation. The investor gets diversification in a single docket of mutual funds without the hassle of analyzing and selecting each every equity and debt fund. The balanced fund is maintained by a person who has professional experience and undertakes daily monitoring to decide the best course for the fund. This action cannot be carried out by investors as they might have limited knowledge about the workings of the market. They are not entirely risk-free, many investors are of the view that less volatility means risk-free. That is not the case; balanced funds also have their share of risks. In the balanced fund, the choice of funds is not with the investor, but with the professional who manages the fund. Are they a safe investment? Balanced funds are custom-made for new investors and those looking for relative stability for their savings. Choosing a balanced fund that suits the investor’s long-term goals is very important. The history of the funds is not the only factor to be considered. Experts are of the view that when choosing a balanced fund that contains both the asset classes, the deciding factors of both asset classes have to be taken in to account. When assessing the equity part, the investor should look for factors like the fund house, fund manager, asset value, constancy of portfolio, diversification, risk taken by the fund, asset size, and the historical returns. When assessing the debt funds, they should pay attention to the asset quality, fund manager’s qualification and sensitivity of the fund to rate changes.